Nothing like relaxing in the yard in a hammock. 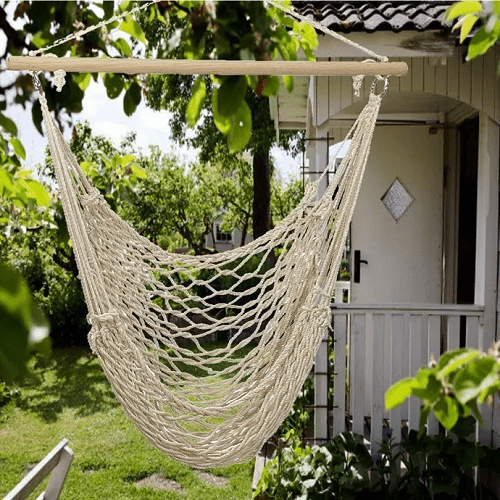 If you have been wanting to get a hammock chair, here is a deal to check out. Jane has this Hammock Chair Swing Seat for $15.99! The link goes to a completely different item than shown in the pictures and described here. Thank you for letting me know – it’s all fixed now!